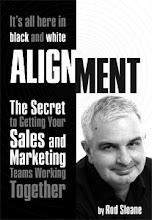 Sales and Marketing Alignment Blog from Rod Sloane: Spend More Time with the Queen! I like stamps, no I'm not a philatelist, I'm not looking for a Penny Black. What I mean is that I don't use a franking machine or Smart Stamp from Royal Mail for the mail I send. I like to use stamps with the Queen's Head on. OK, I'm not a Luddite I do use the self adhesive stamps that come in packs of 100. So why do I like stamps? It's the personal touch, I would much rather receive a hand addressed envelope with a real stamp. It might be coming from a real person not some marketing department. This means that I am more likely to open it, first, if it's a person-to-person message. Do you like being treated as a number, a transaction? It's all bout probability, can you increase the probability of the recipient picking up your letter/ postcard opining it up and reading it. Make it personal. OK, the real reasons I enjoy queuing at Post Offices and I like the blue of the 2nd Class stamp.